Dr. Loui Olivas has an extensive background in executive development, public education, and teaching at secondary, community college, and university levels. 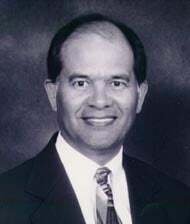 A third-generation native Phoenician, he served as the director of Executive Development and Education for Western Savings and Loan Association, director of Employee Development with the City of Phoenix, and as a consultant, instructor, and developer of various other executive development programs involving Fortune 500 companies. Dr. Olivas joined Arizona State University (ASU) in 1979 as the assistant director for the Center for Executive Development and served as the director from 1982-86. He is a tenured professor in the Management Department, W. P. Carey School of Business. His teaching and research emphasis is in entrepreneurship and small business management. He has been awarded the "Outstanding Teaching Award" by ASU undergraduate students and the "Teaching Excellence Award" for ASUs Center for Executive Development. He has published in the fields of personnel, management, training, and small business operations. He serves on numerous national boards and commissions, having recently completed the office of chair of the Hispanic Caucus, American Association for Higher Education and served as the founding dean of the National Hispanic Corporate Council Institute from 1995 to 1999. Dr. Olivas is the secretary-treasurer for Project ChalleNGe Foundation, a director of the U.S./Mexico Solidarity Foundation, a board member of Angelita's Amigos, Inc., and a board member of St. Joseph's Foundation. For the past three years, he has authored the annual DATOS Report (1999, 2000, & 2001), Arizona Hispanic Chamber of Commerce. Dr. Olivas is also a member of the Phoenix Bank Advisory - Wells Fargo Bank, Arizona, and a cabinet member, Valley of the Sun United Way. He is a retired colonel from the Arizona Air National Guard, having served a distinguished military career for 29 years. For the past 12 years, Dr. Olivas has served as the assistant vice president for academic affairs at ASU. In his spare time, he enjoys outdoor life and the excitement that nature provides.